My husband and I have lots of favorite things (each other capturing the number one spot), but we have a new favorite thing. Not just any pita bread, though. 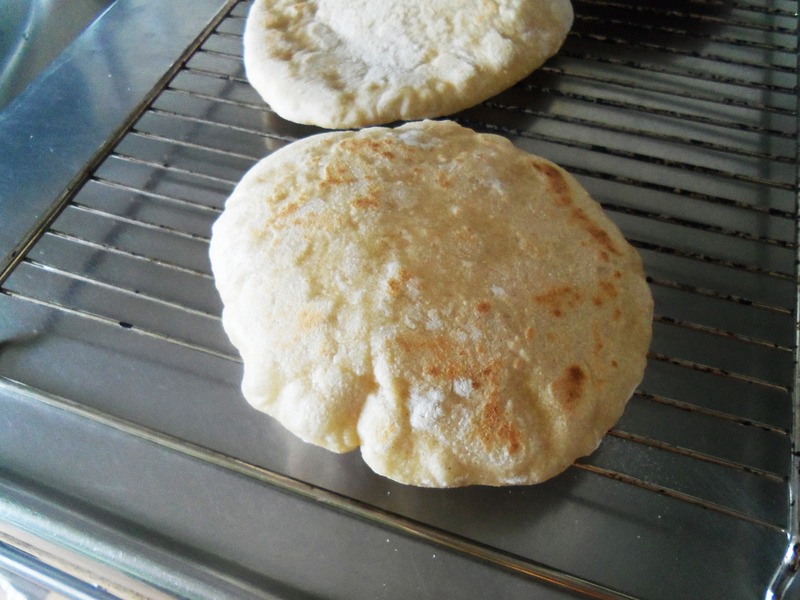 Homemade pita bread. It started a couple weeks ago, when I was determined to find a few new, healthy dinners to add to our rotation, especially dinners that don’t contain allergies for Andreas (dairy and sugar). I decided to do pita bread, hummus, and cucumber/tomato salad, and while it was really good the first time, with store-bought pita, I knew I wanted to try homemade, and my sister sent me the recipe that she uses. I’m not sure where she got it from, but I am sure that I have to share it here. Even the first time I made them, they puffed up beautifully, were perfectly soft, fluffy, and chewy, and we’ve been excited about them ever since. In a large bowl, mix yeast with warm water until dissolved. Add wheat flour, then 1/2 cup unbleached flour. Stir for about a minute in one direction (this activates the gluten in the flour). Let the sponge rest for at least 10 minutes, and up to two hours. Add the salt and the olive oil. Mix well. Add the remaining unbleached flour, about a half a cup at a time, then turn onto a lightly floured surface and knead for about 8-10 minutes, until smooth (dough should be tacky, but not sticky). 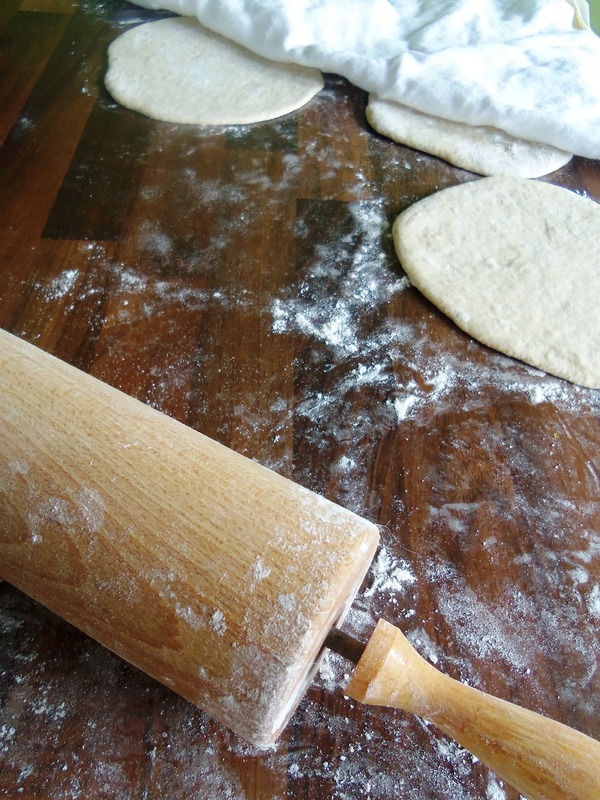 Return the dough to a lightly oiled bowl and cover with plastic wrap. Let rise until doubled (about an hour to an hour and a half). Punch down and divide into 8, shaping each piece into a ball before rolling out into an 8-inch circle. Cover the rolled-out pitas, but don’t stack them. 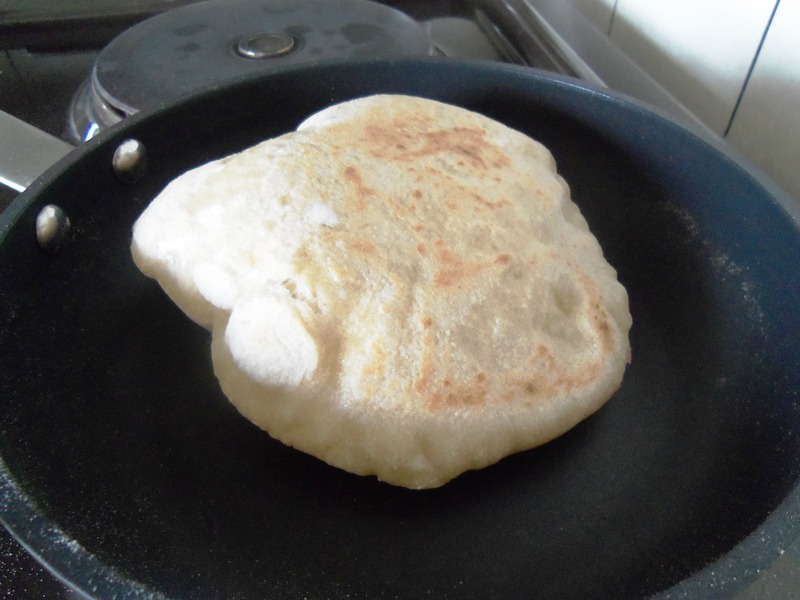 Place in a hot, dry frying pan for 30 seconds, flip, cook for one minute, flip, and cook one minute more (pitas should be all puffed up when you take them out of the pan). 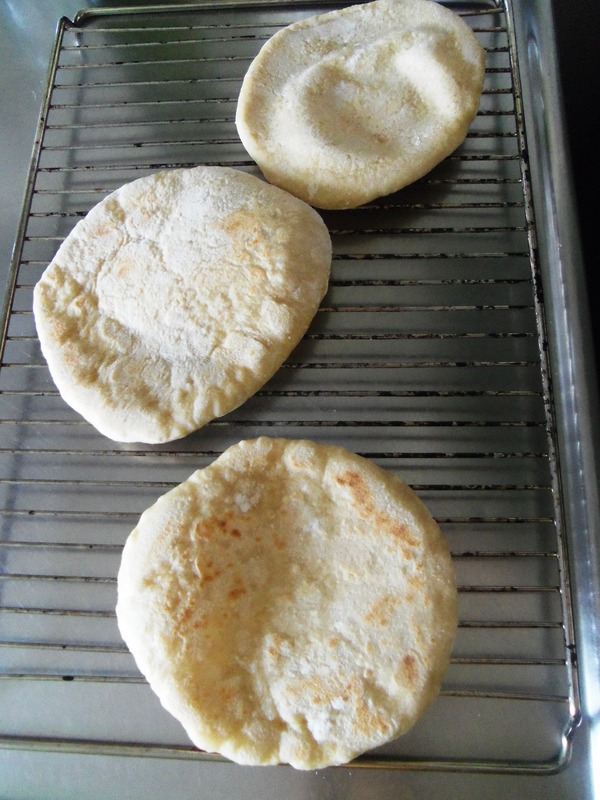 Cool on a rack for a few minutes, then wrap pitas in a kitchen towel to keep them soft. 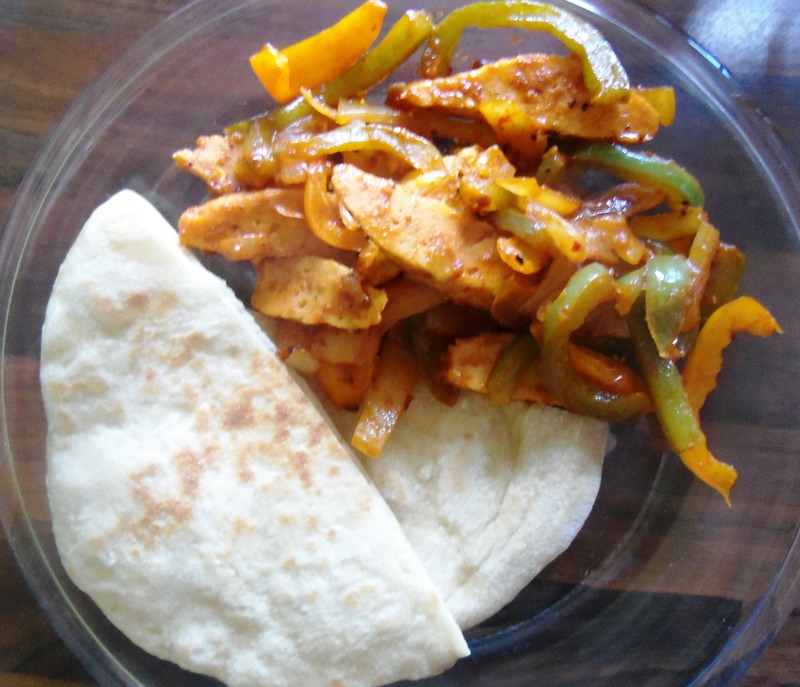 Even though this pita is amazing with hummus and cucumber-tomato salad, we had a lot of bell peppers to use the other day, so I decided to make fajitas using those and our Quorn filets (another one of our favorite things). We now have another easy, super delicious dinner, and though the picture isn’t great, the meal was.